Previously I shared some Myths about Writing a Will, including the reasons you might consider creating a trust to protect your children and your assets after you pass. If you have a child or relative with special needs, it’s even more important that you set up a special needs trust; it allows you to provide for the special needs individual who requires long-term medical needs or other support. 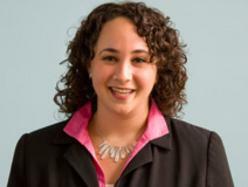 Rebecca Geller, president of The Geller Law Group, shares her recommendations, shares her expertise below. With a trust as a safe place to leave funds for a disabled or special needs child or relative, it also protects your money. If you are sued or get divorced, the funds inside a special needs trust cannot be part of those proceedings (as long as you create an irrevocable special needs trust). With a trust in place, any money your child or relative receives (such as an inheritance from a relative) that is placed in the trust will not be counted as a financial asset. This allows for government assistance and medical services to continue without disruption. Be sure to let your family members know about the trust so they do not give money directly to the child or relative with special needs. Rebecca shared a case of a young man who received a surprise inheritance when his great aunt passed away; because there was no special needs trust set up to receive the funds, they became his, which pushed him over the limit of financial assets and reduced his social security benefits. The limit is usually quite low, frequently as low as $2,500. Basically, this means that if an individual with special needs inherits more than a certain amount (such as that $2,500), he/she will lose their benefits that provide services to help with their special needs. Statutes say that as long as a special needs trust meet the U.S. Code requirement, it is not a countable resource for Social Security or Medicaid qualification purposes. State statutes vary, but special needs trusts are needed in most states to ensure that the individual’s special needs benefits are not jeopardized. Should you pass away without a will, your estate would go directly to your child and they would likely lose their eligibility for services. 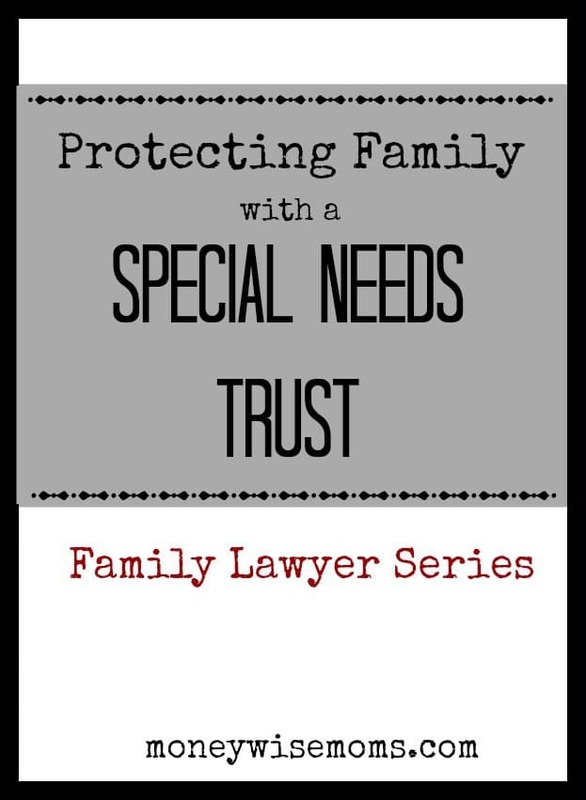 When should I set up a Special Needs trust? At any time that you realize your child or relative may not be capable of supporting him/herself or needs services to help with special needs, Rebecca recommends that you include a special needs trust in your estate planning. In this case, the recipient may be aged up to 65. If, in the future, the individual’s condition improves and is able to live independently, there is always the option to dissolve the trust. Because special needs trust laws vary from state-to-state, it is important to work with a qualified attorney to set up your trust. How will my child use the Special Needs Trust? Just as with any trust, the funds are designated to a trustee of your choosing (either the same person who becomes the child’s legal guardian or someone else). Even when a child or individual does not need federal or state public benefits/services, quality of life can be improved with the funds from a special needs trust. Rebecca shares the story about her brother-in-law who has cerebral palsy. He is a quadriplegic and lives in a group home. Because he receives public benefits, Rebecca and her husband have created a special needs trust to distribute money to him so that he can have funds for some travel, entertainment, and his hobbies but ensuring that he continues to receive public benefits for his housing, health care, and aide. To schedule your free initial phone consult to create your family’s legal documents, please contact The Geller Law Group via email at Office@TheGellerLawGroup.com. The Family Lawyer Series is underwritten by The Geller Law Group, which is licensed to practice in Maryland, DC, Virginia and North Carolina. In exchange for the series, I am receiving discounted services to complete my own estate planning documents. Great info – will pass it on to parents of my students with special needs! As a single Mom over the course of the last few years, I’ve learned how important it is to create a trust for your children. I think this is especially important if you have a child with special needs. Thank you so much for these tips. I’ll def share it on Twitter!